Recipes You Should Be Making Right Now! Happy June! 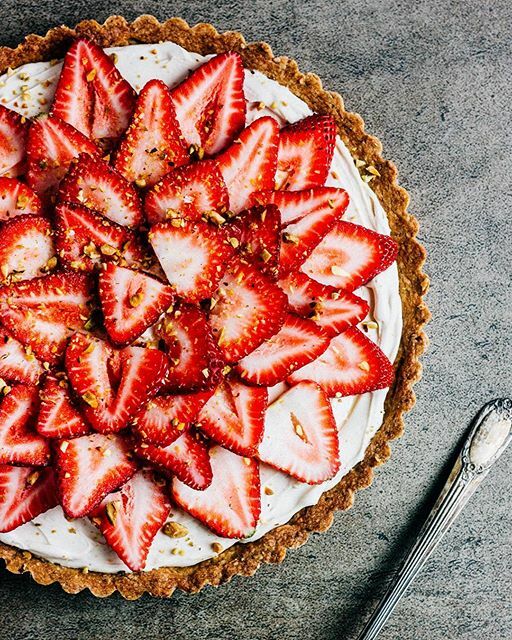 Check out a few of our favorite seasonal recipes featuring strawberries, rhubarb, peas and asparagus! We developed this simple sponsored appetizer recipe in partnership with California Walnuts. Try using peaches or nectarines in place of the strawberries once stone fruit is available in your area. The nutty pistachio short crust pairs perfectly with the creamy, not too sweet mascarpone. 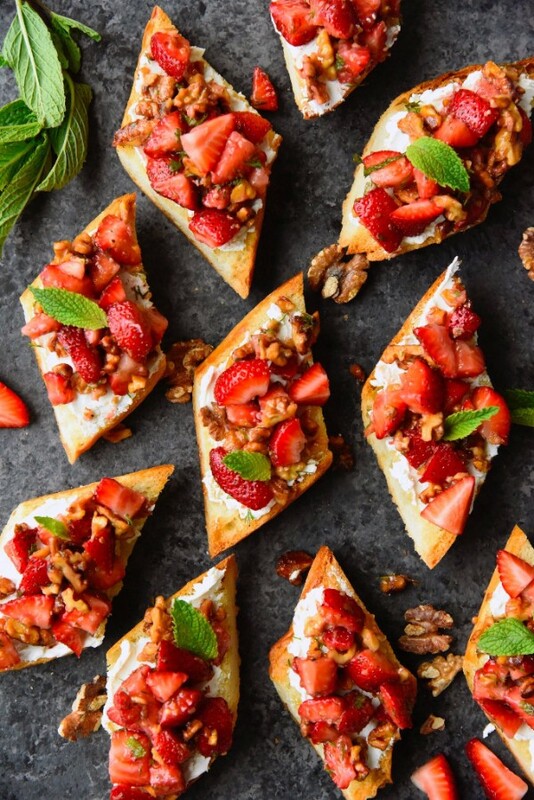 If you are short on time, just scatter the sliced strawberries on top. 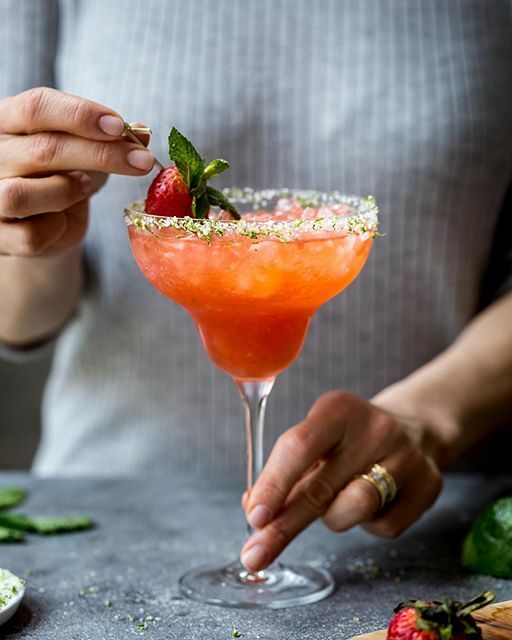 The salt & lime zest rim is key to keeping these potent cocktails balanced. Just be careful; they're made with champagne, tequila & triple sec! 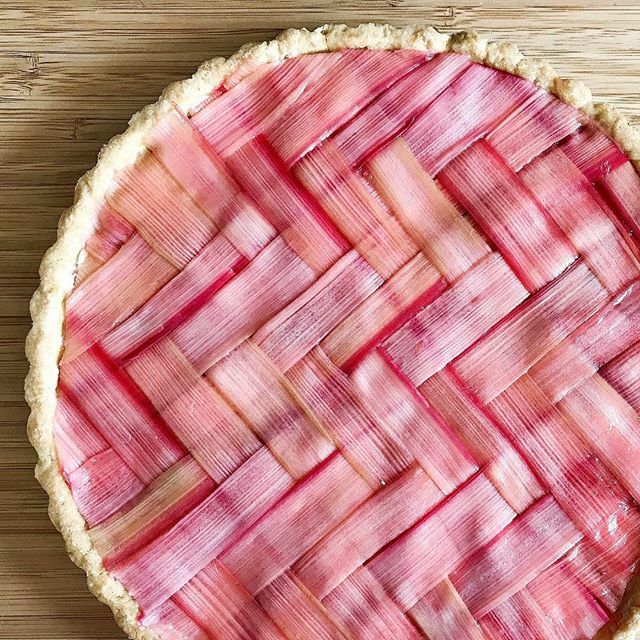 To make this stunning tart, the rhubarb is shaved with a vegetable peeler and poached in a simple syrup mixture. Then, the pattern is assembled on parchment paper (which means you can start over in case of any mistakes!) before it's carefully flipped onto the tart. 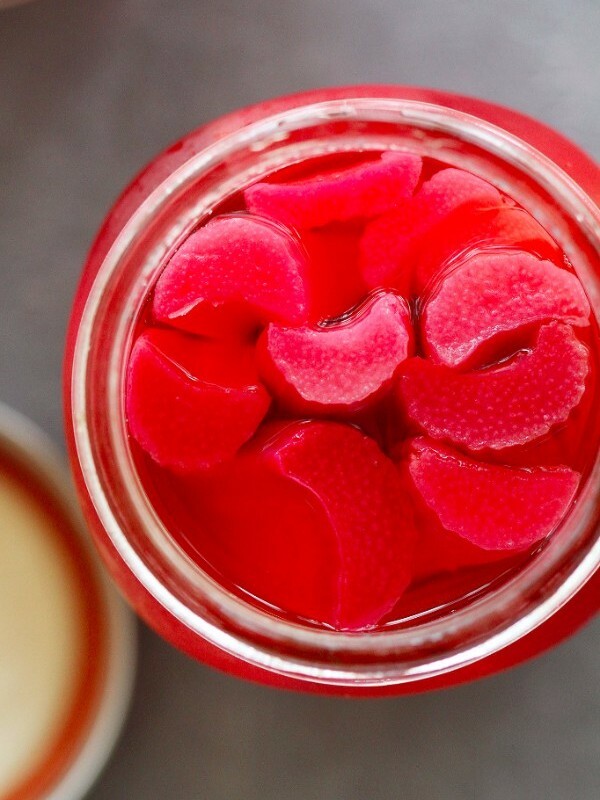 In case you aren't ready to say goodbye just yet...pickle some rhubarb to use all summer long! You can customize this easy recipe and add spices according to your taste; we like adding pink or green peppercorns. Use the pickles in salsa, over greek yogurt, on top of a burger, in cocktails, or in a salad. 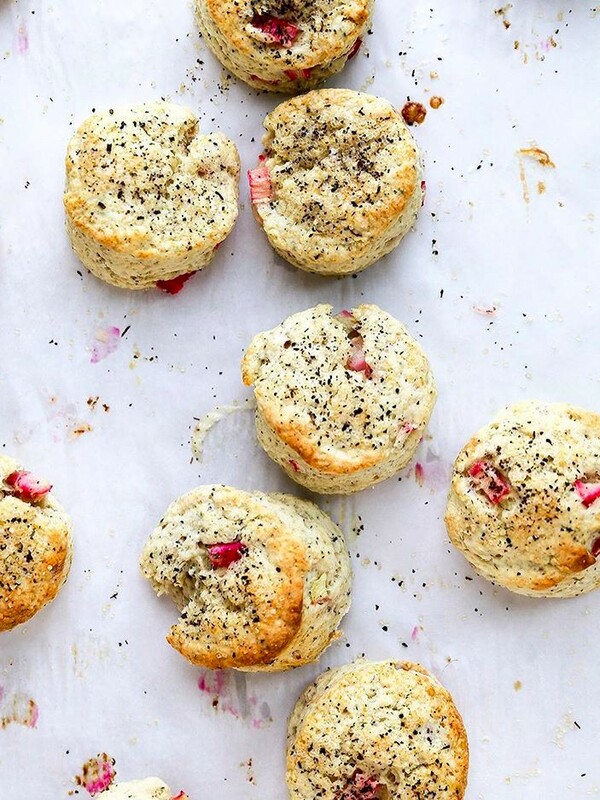 Baking these scones with loose leaf jasmine tea adds a bright & fresh note perfect for spring. Giving 'Eat Your Peas!' new meaning. 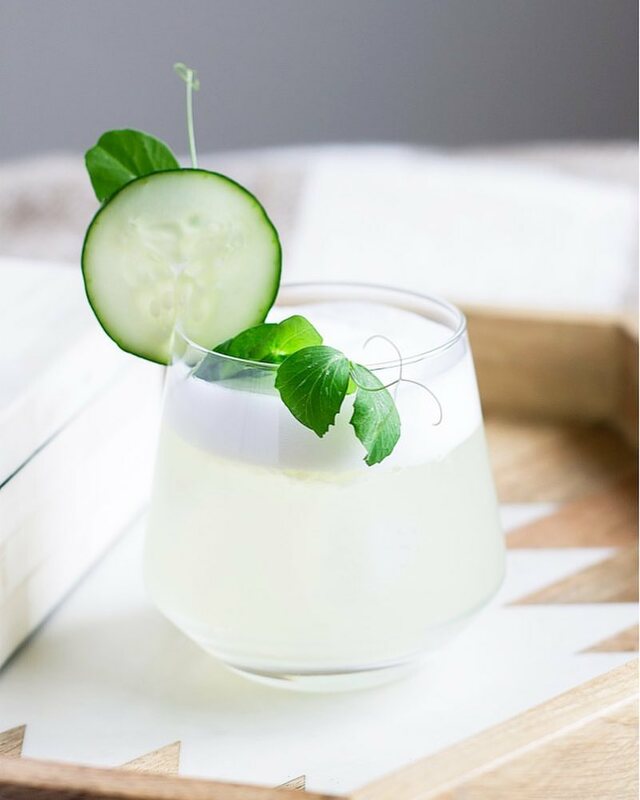 These refreshing cocktails are made with snap pea infused vodka and muddled cucumber. 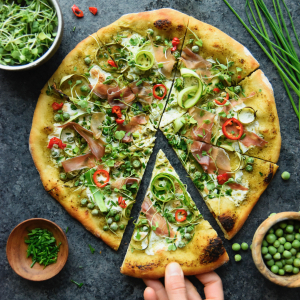 Pizza night with a side of peas! Our own take on a spring inspired pizza. 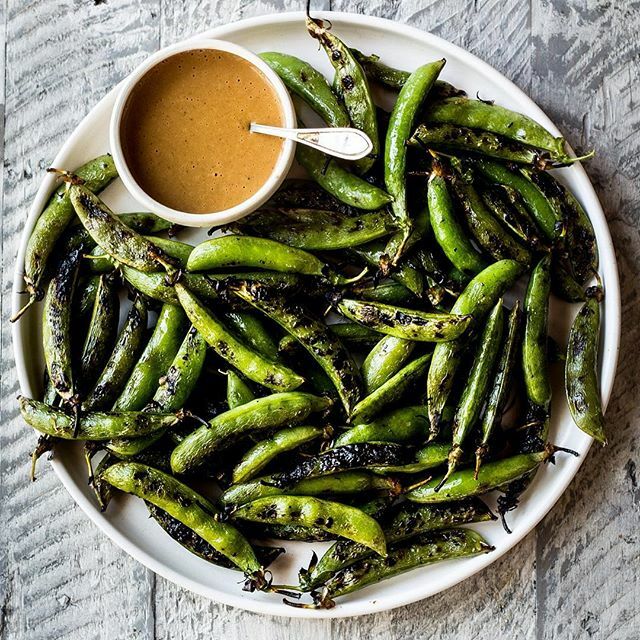 The perfect grilled side dish. 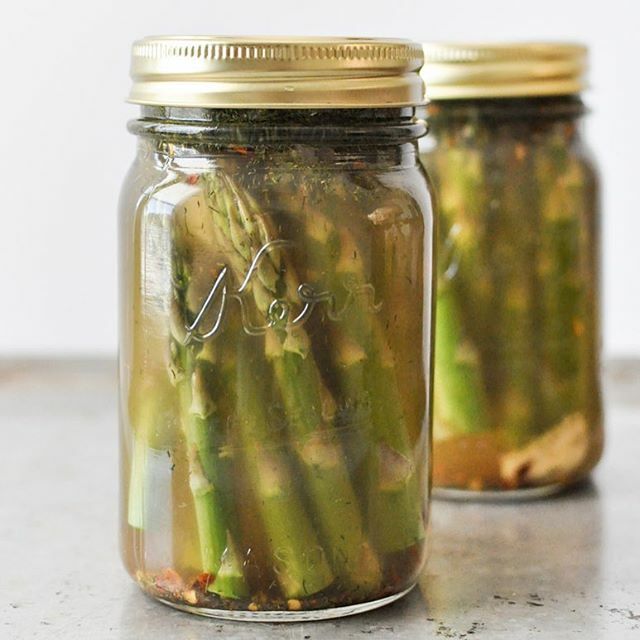 You can't let asparagus season pass you by without making this dish at least once! 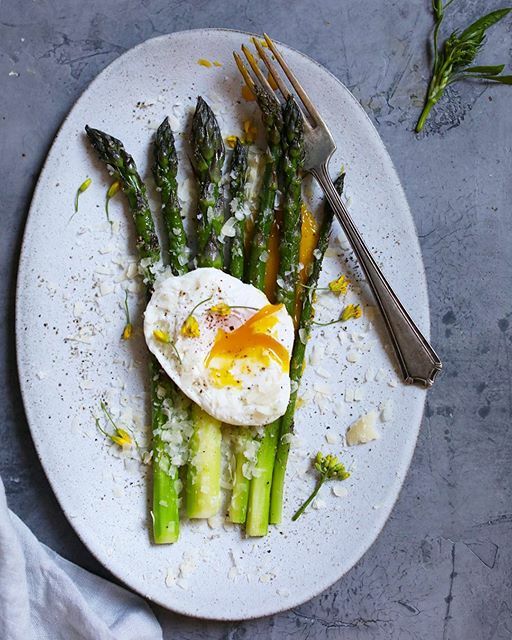 Check out @feedtheswimmers method for poaching eggs (without any stress!) here. 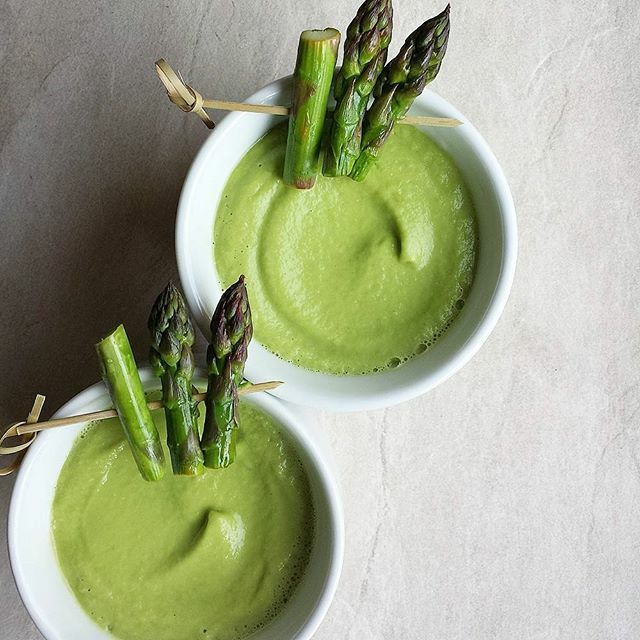 The addition of avocado lends the perfect amount to creaminess to this dairy-free chilled soup. Just what your Bloody Mary is missing.